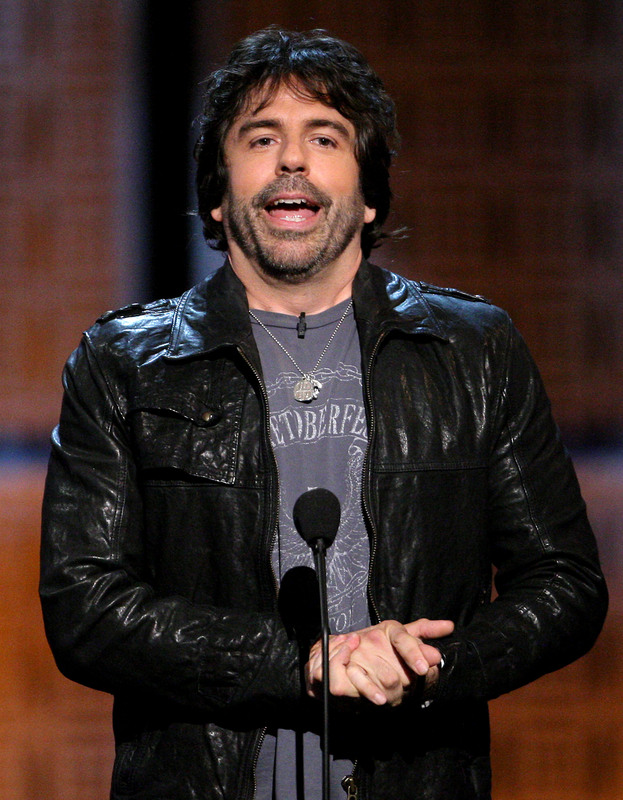 Yesterday my favorite comedian, Greg Giraldo, died from a drug overdose. The first time I saw Giraldo perform was at the Columbus Funny Bone. I was in law school at the time and was visiting my then-girlfriend in Ohio. It was only my second time to a comedy club and he delivered the goods. The guy clearly had a great mind, but also the talent to convey his strong opinions on subjects without alienating audience members (though at this point he was big enough in comedy to bring some of his own audience). I would start doing comedy shortly thereafter and Giraldo has been the standard I have measured myself against ever since. He was an attorney before pursuing comedy, but it was not just personal parallels that I felt connected to. It was the sharp way he took down people and institutions without once seeming like one of the lefty zealot Carlin-wannabe hacks that dominate the political discourse in comedy these days. To borrow from politics, he thought like a liberal, but seemed to deliver from the center. What bothers me most about the loss of Giraldo is that I wonder if the comedy climate will allow or develop another comic in the same mold as Giraldo. More than ever I feel like comedy is about niche markets. The more people I see getting breaks these days, the more I feel like producers are simply trying to re-create The Hangover – if you look half crazy (Alans), nerdy (Stus) or are very telegenic (Phils) you are even money. And if you are a social critic, “truth” is acceptable as long as it is is delivered by some far left, “daring and brave” comic who preaches consistentlyto his own choir, but beyond that – good luck. But Giraldo was the comic who achieved success while not fitting any mold or focus group. He could mock the Church in one joke and then mock gay marriage in the next and never feel preachy about either. He was just a comedian who could look on the handsome side of normal (when not disheveled), speak intelligently without being consistently left or right, and could just write the best fu*king jokes. He was just so good as a comedian that he did not need a niche. I hate when I read about him being pigeon-holed as an “insult comic.” He was so much more than that. But even Giraldo, a comedian who while alive did not need a niche to make it big, is now being shelved into a niche so he can be neatly categorized in death. But I wonder if the direction of modern culture will restrict or constrain the next Giraldo (or the next great comedian to be inspired by Giraldo’s voice) from reaching his or her potential. Much like I never think another Michael Jordan can be fostered because nowadays anyone with Jordan’s talent would be exalted as a superhero from the age of 14 (see LeBron James) and would thereby lack the insecurity, drive, and chip-on-shoulder syndrome that drove Jordan. Similarly, Giraldo came up in a pre-Twitter, pre-Facebook age in comedy, where a comedian’s mind was his chat room, complete with insecurities and fears, which, for anyone who read the Psychology Today article featuring Giraldo, knows helped drive him, even if he never felt as focused as he should have been. Now, more than ever, comedy, especially for up and comers, is a big circle jerk of artificial support and well wishing and just generally a cyber world of sycophants. Anyone who has been to an open mic in NYC knows that there is such a cliquish and tribal nature that is utterly nauseating. Giraldo was so deep in his own head, at least from what I read about him, that he fell into addiction. But sometimes I feel like great comedy can only be borne from minds that go into places that most people don’t like venture into. Instead the comedy world I live in is full of young comics with lots of friends, lots of “likes”, and lots of meaningless drivel. My favorite compliments I have ever received as a comedian were the few times when people have told me that my comedy reminded them of Greg Giraldo. It meant that I was funny and what I was saying actually had meaning. One time a club manager asked me who my favorite comedians were and the first answer I had was Giraldo. He dismissed my choice and replied that Giraldo was not making nearly the money that some other comedians were making. And I replied that that spoke poorly of clubs and the business, not of Giraldo. I abhor people’s inability to have feelings anymore without posting a Tweet or status update. I felt no need to express what I felt about Giraldo yesterday because anyone who is worth anything intellectually or comedically would mourn the loss of Giraldo and his immense talent and originality. But since I am a comedian and I had not written anything in a while I figured readers or fans of this blog would not know me as a comedian without knowing how I felt about Giraldo. I remember when I lived on the Upper West Side a few years ago I was working out at Equinox on 92nd st and Broadway and I saw Greg Giraldo on an elliptical machine. I had never actually met him and I was very excited. I smiled at him and pointed as if to say “Hey – I’m a big fan.” He removed his headphones and sort of nodded a thanks and that was the only exchange. I guess if I had known all his internal struggles I would have told him he was worth more than a drug addiction and that he meant a lot to me and to a lot of people. He may have just written a joke about some weird, preachy douchebag at the gym. But maybe he just didn’t hear that enough. Thanks for the reference to the PsychToday article. It was touching to read of his brutal honesty with himself. Before I read that and this post, I felt a somehow personal heartbreak for his passing. I’m no comedian or “intellectual” or whatever else but it still strikes a chord. Also, your last para definitely reverbs some preachy douche baggery and a little narcissism but also thoughtfulness. Anyway, it was a nice read. Best to you in your success without becoming named. I sent this as an email to J-L and he thought it would an interesting perspective for his readers. So if the comment seems un-commenty, it’s because it was originally a personal email. “Great blog. I feel the same way. I think he’s one of the best comics ever and I never understood why he didn’t get a bigger push. He and I used to do the Cellar together 2-3 times per week. He would usually be one or two comics after me. So our paths crossed a lot, but we never had lengthy conversations like I had with everyone else there. I never really talked to CK much either. They’re both so insanely good, it’s intimidating. You’re supposed to talk to everyone there as if they’re your peer, but I couldn’t look at Greg like he was my peer. I felt like I had just been drafted into the NBA and had to act like Kobe was somehow my equal. But the reason I wanted to send this to you is, every time I spoke to Greg, he responded like we were old friends. He was the nicest guy possible. He complimented jokes, and was just generally pleasant. Not only did the comedy world lose one of its best, but good up-and-coming comics also lost one their greatest allies. Another thing about Greg’s strength as a writer: I really don’t think anyone of this generation, other than Colin Quinn and CK, have been in Greg’s class.